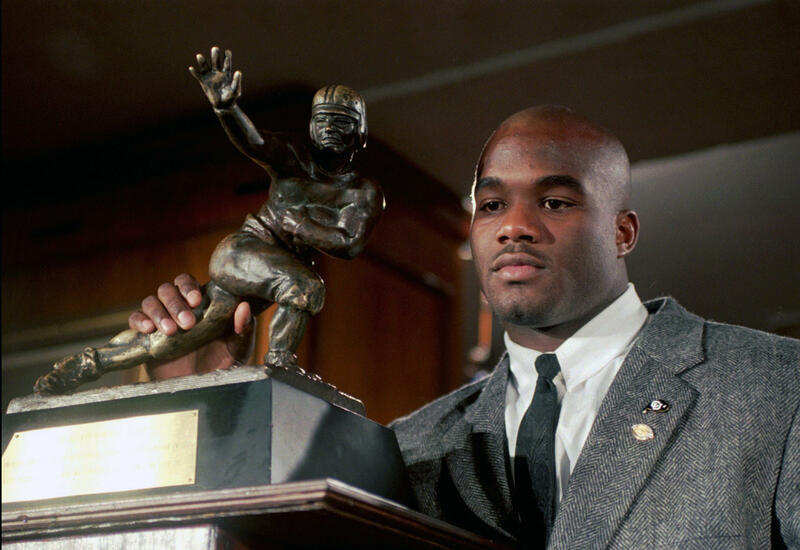 BOULDER, Colo. -- Heisman Trophy winner Rashaan Salaam was found dead in a Colorado park, authorities said Tuesday. The Boulder County coroner’s office was still investigating the cause of the death of the 42-year-old Salaam, who won the Heisman in 1994. In his junior year, when he won the Heisman, Salaam ran for a school-record 2,055 yards, becoming only the fourth college back to go for over 2,000 yards in a single season, CBS Denver reported. Salaam’s cause and manner of death are pending further investigation.